July 2017. Vol. 44, No 6. The 2017 convention has now concluded. Numbers overall were 253 delegates and others. 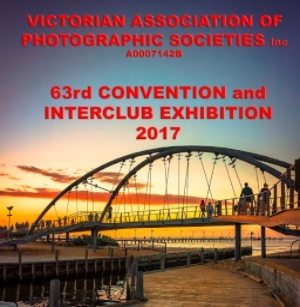 The Frankston Photographic Club's role as the managing club was excellent with a great deal of assistance provided in putting up the exhibition and running the business over the weekend. At the BBQ, they cooked 360 sausages and 100 Patties. The Saturday night dinner was exceptional with 201 persons booked in including guests. Ian has just received the 60 Year Bar. He has been a member of the Melbourne Camera Club for those years. Just imagine the wonderful recollections he would have about Photography. Working with Children. Implications for Clubs. There are a number of new legislative requirements coming into effect in August that affects clubs, where there is potential for one-on-one or direct interaction with an underage (U18) person. It is very important that clubs review the details in the link carefully. It has implications for all clubs. Implications/actions would vary depending on the sort of programs you have in which under 18 year-olds may participate. Generally, clubs could continue to accept and welcome student or junior club members provided that, at all times, they are accompanied by a parent or guardian at club meetings, functions or workshops. Where there is direct one-on-one interaction with an underage person, and a parent or guardian is not present e.g. photographic instruction, image evaluation nights or excursions, then the moderator/instructor or group leader must have a Working With Children (WWC) check and appropriate card. It would be advisable for two or more club officials to have WWC checks and approved cards and be present at any club meeting where an underage person may be in attendance to observe and ensure all WWC procedures are carried out accordingly. The check is easily obtained and is free for volunteers. Use the above website address to access the WWC-check information or for inquiries. VAPS is continuing to examine this complex matter. 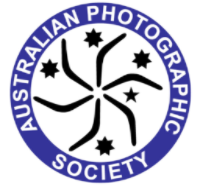 The Essendon Camera Club was formed on 23 April 1956. A young 19-year-old, Gary Lewis, organised the first meeting of the club at his parents' home in Buckley Street, Essendon. Four people came. Gary wrote to the "Essendon Gazette" saying that the meeting had been a great success with approximately 50 people attending. In the formative years, Gary was the president and secretary. Early meetings were held above the chemist's shop in Puckle Street, Moonee Ponds, then at the Doutta Gala Hall in Royal Avenue, North Essendon. Later meetings were changed to St. Thomas' Memorial Hall at Moonee Ponds Junction. The next move was to the Essendon Community Centre next door. That place was gutted by fire in January 1978, so the club returned to St. Thomas'. The club is now at the Aberfeldie Baptist Church in Price Street, West Essendon. Alex Murray joined the club in 1957 and has the record for the longest-serving president: 21 years. David Oldfield was president for eight years (1989-1996), as was Ian Forrest (1981-1988). In more recent times, Jenny Colson and Alex van Harmelen have been presidents for several years. E.C.C. 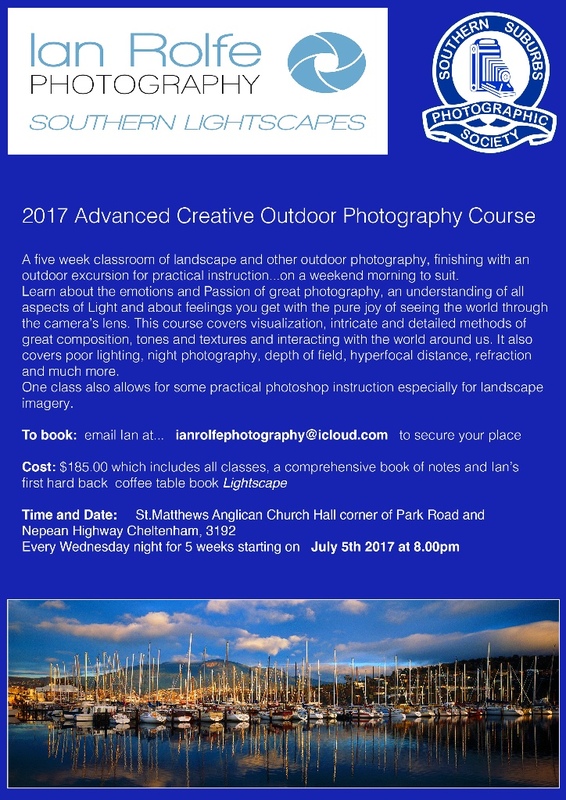 has conducted a 10-week photography course for many years. Ian Cust R.I.P. and Neil Ross largely ran this course in the early years. Now the course is digital and organised by Matthew Wings. Last year, 2016, the club had 162 members, making it the largest affiliated club with VAPS. "Film to DIGITAL", Paul Robinson. You can download from the VAPS Web Site 'documents' tab a copy of the discussion document as submitted by the VAPS Audio Visual Committee (AVC) to the recent Half Yearly VAPS delegates meeting. Comments and suggestions on the AVC discussion document can be made to the VAPS Secretary for the consideration by the AVC in stage 2 of the review for potential revision of the 2018 Interclub AV rules. 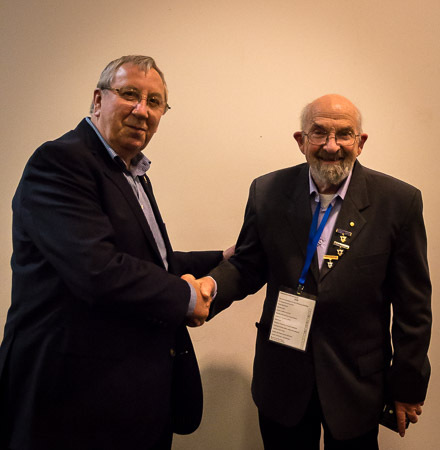 "…AV Sub-Committee Stage One Discussion Paper is now available. Please review and send all comments to secretary@vaps.org.au no later than 30th June…"
Background to the formation of the committee and the brief of requirements are contained on the first page of the discussion document. 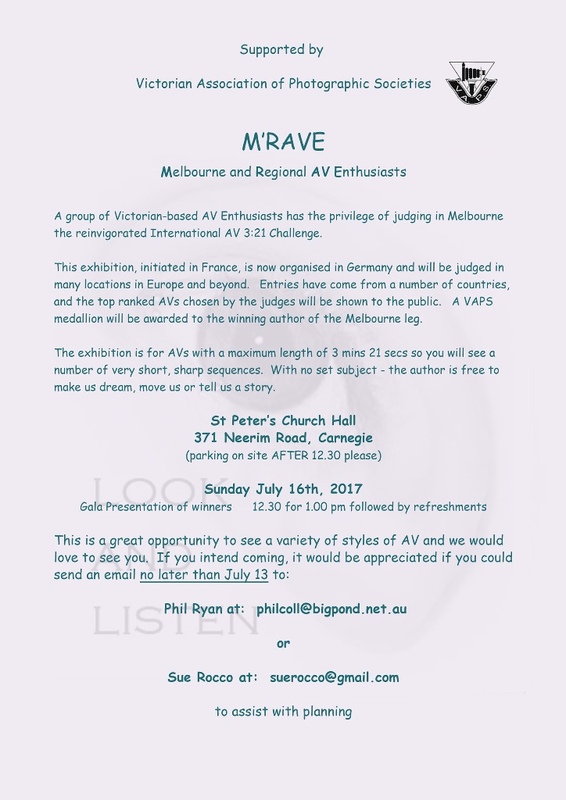 A short presentation by members of the VAC at the VAPS Frankston Convention will enable conventioneers to pose questions and receive responses on this review of the Interclub Audio Visual rules. Jose Rojas explores his passion for nature with his stunning landscape photography. John Spring has produced an interesting note on the History of this group. Further information is available at these links. Have you ever heard of a "Pub National"? Here is an idea for your Club! It's a club social event combined with a competition run on "National Format". Decide to have a "Pub National" and book a function room with an appropriate approximate number of tables at the local good pub. They usually do not need exact numbers and the function room is often free. Invite a neighbouring camera club to supply three judges for the evening and give them a free dinner. Get members to submit images and EDPIs in categories as you desire. Do this one week beforehand. No need for long-term planning. Meet at the pub at about 6.00 pm and have a great meal, chat and laugh. Chat with the judges. Chat with your members. Get members to bring a small item to be raffled. Cheap tickets are sold for the raffle. (eg five for $2.00) Do raffles at several times over the evening. Great fun. Winners pick their own parcel. Around 7.30 pm. Now the judging! Judges and members see the images or EDPIs for 8 seconds and hold up numbers so that only the data recorder can see the numbers. Results are entered on a laptop into a spreadsheet prepared by print stewards. If there is a draw for the top score then judges get together to decide the winner in the section. Only a winner decided. Also, have judges decide the best image overall for the night. Have small trophies for winners. Have perpetual trophy for the overall winner. Or, have your own variations on this. Go home fed and happy. You build your relationship with another club. Members get to participate in a National Type Competition and learn what images do well in this type of competition. Minimal planning needed by print stewards and club members. Small cost to the club. Berwick Viewfinders Camera Club has just had their Pub National Competition. 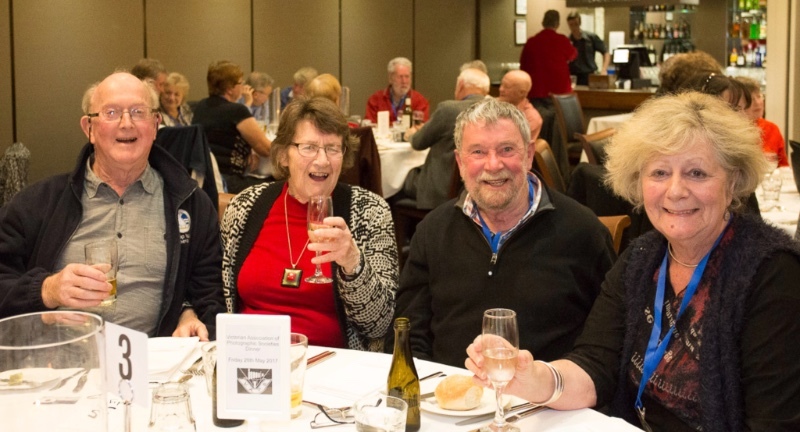 A lovely, winter activity with a good chat, hot meal and happy winners. It is one of their most popular competitions. Are you a new club? Have you got some strong younger members? Ivanhoe Photographic Society is offering 10 x carpet-cloth covered display stands FREE to any club willing to collect them. Sturdy Boards covered with light beige /burgundy coloured Velcro friendly cloth with black steel frames, all in good condition. 2 x The black steel stands/feet (each approx. 2 ft tall) support each display board. Assembly of each board is best done by two people as they are quite heavy. Human Right Photographic Competition. 30th September. Website. A presentation to members on "What Judges look for" by Margaret Zommers. Two half-day workshops on Evaluating Images. This involved some real hands-on practical experiences for VAPS member clubs members to get a feel for judging. The following photographers took part in this event and really made a great job of it. Greg Earl. Mike O Connor, Anthony Yap, Bill Millar, David Skinner, Peter Calder, Gary Freestone, Linda Fox, Craig Gurnett, Sam Mariani, Darryl Whitaker and Andrew Raff. Also thanks to Emma Gillette for the presentation and facilitating the event and Alfred for getting it together. 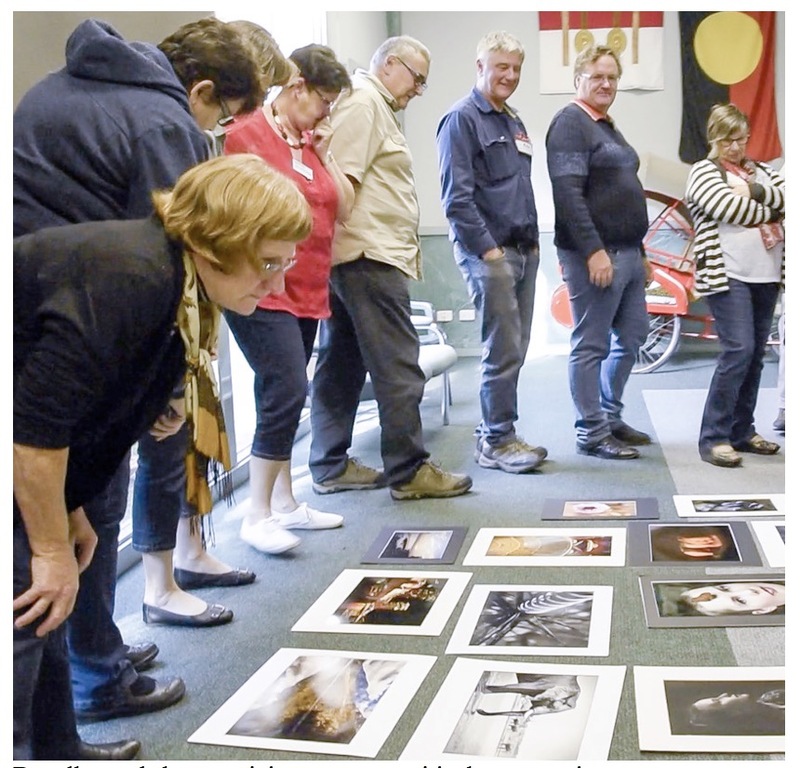 Back on the 2nd April, the Benalla Camera Club facilitated a level 1 training course where at about 30 members attended. A number of APJA members drove up to Benalla to do the presentations. It worked out really well. Well done BCC for this initiative. 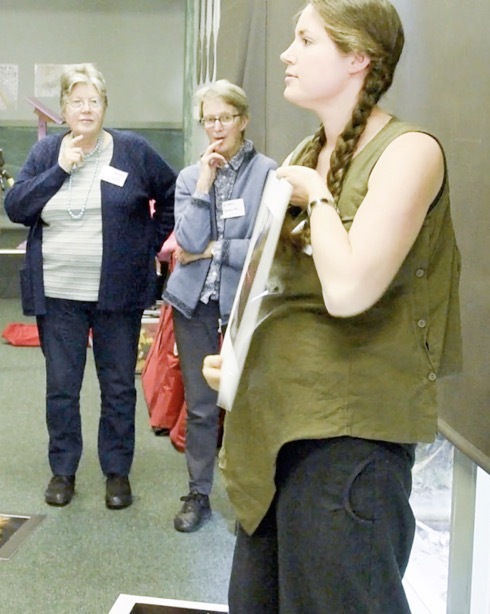 Benalla workshop participants cast a critical eye over images. APJA President, Paul Robinson at Benalla. Emma Gillette explains some basics of image evaluation. Upcoming APJA events: Level 2 Training 23rd July, Level 3 Training 20th Aug, and Level 4 Training 17th Sept.
Bob Hayter has been an outstanding and tireless worker for Frankston Photographic Club. He has been Treasurer for seven years and over that period, solely responsible for managing accounts, payment of bills, banking of income, book-keeping and reporting to the committee. He was instrumental in setting up the club's on-line payment system which has simplified the annual fee collection, registration and payment for club events such as seminars, workshops etc. In his role as Webmaster, he has set up and maintained the club website. This has included publishing the winning entries from the club monthly competitions, publishing newsletters on the site, providing ongoing improvements and major updates and general maintenance. 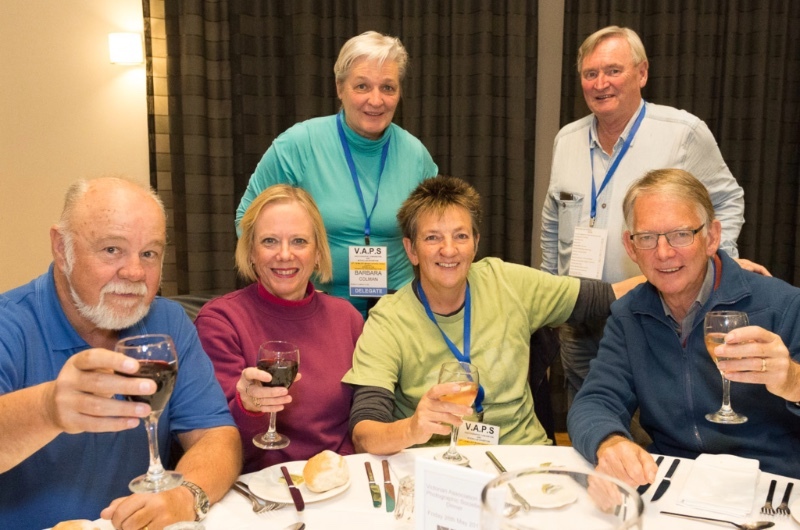 Bob set up the club's Day-Time Group that holds monthly meetings and photo-shoots for those who find it difficult to attend regular Wednesday night meetings. He has taken responsibility for the update, repair and maintenance of the public address, computer and projector systems. 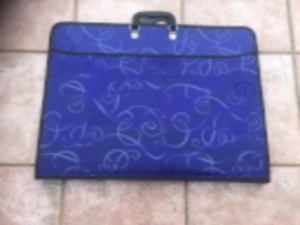 His business contacts in the computer, sound and printing industries have been of considerable assistance to the club over many years. As a committee member, he leads a printing specialist group to assist members to become proficient in high-quality image printing. 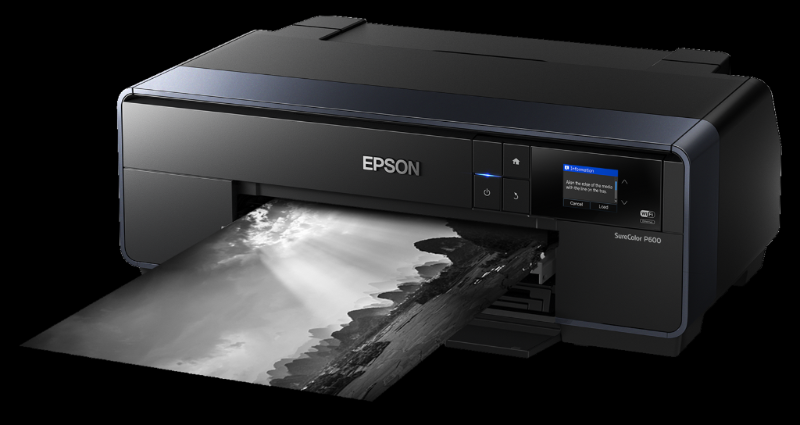 Currently, with other team leaders, he is constructing a dedicated photographic printing service for Frankston club members. He has also been one of the Photoshop leaders for the advanced Photoshop workshops. In about 2013 Bob formed a photographic club at the Beleura Village in Mornington. With 24 members it runs meetings each fortnight. As convenor of the club, he has organised competitions and exhibitions on a regular basis over that time. He has taught and mentored camera craft to that group and runs Lightroom training courses. And if that were not enough to keep him busy, he was a founding member of the Photographic Section of the Mornington Men's Shed where he teaches Lightroom and organises photo-shoots for them. 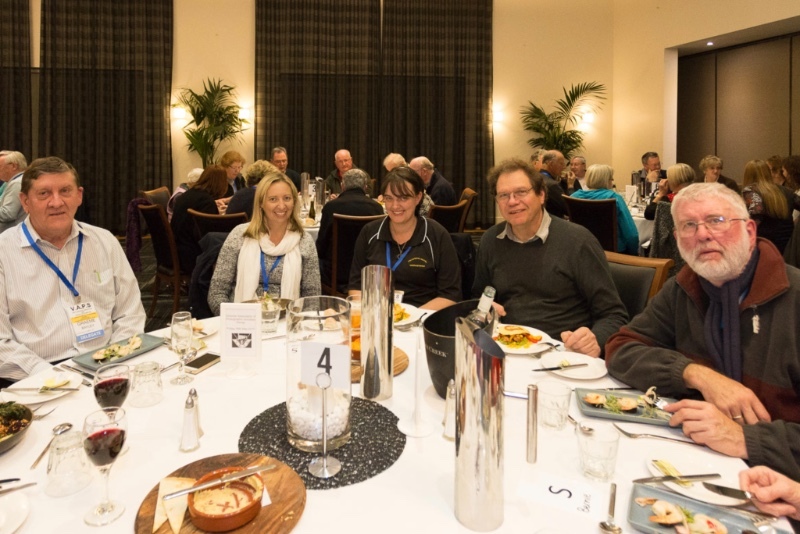 This small group at the Mornington Men's Shed, with Bob as the current President, and with financial support from the Mornington Peninsula Shire, is providing a drone-based photographic capability for the shire. 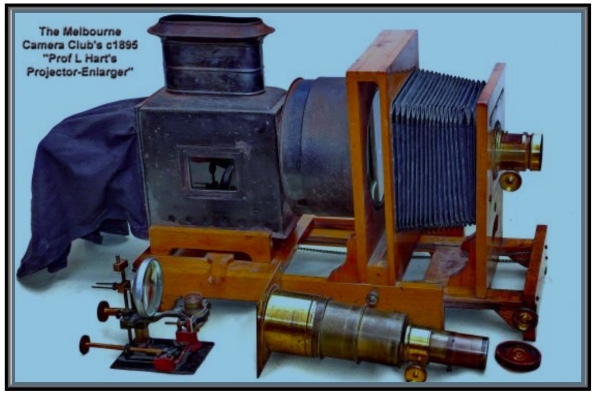 This is a new and rapidly expanding area of photography. 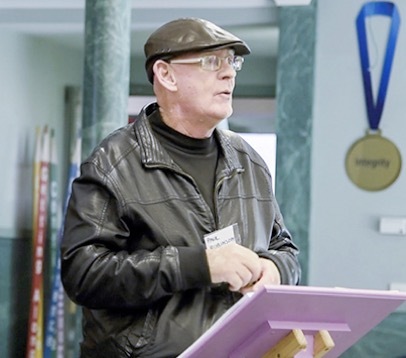 All these activities have not stopped him being a regular contributor to the Frankston club's monthly competitions, the annual VAPS inter-club, Frankston/Pakenham/Berwick Inter-club and National Competitions. 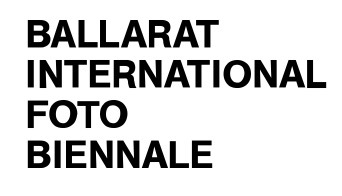 He has had several acceptances at nationals and earned a merit in Photo-Journalism at the Ballarat National. 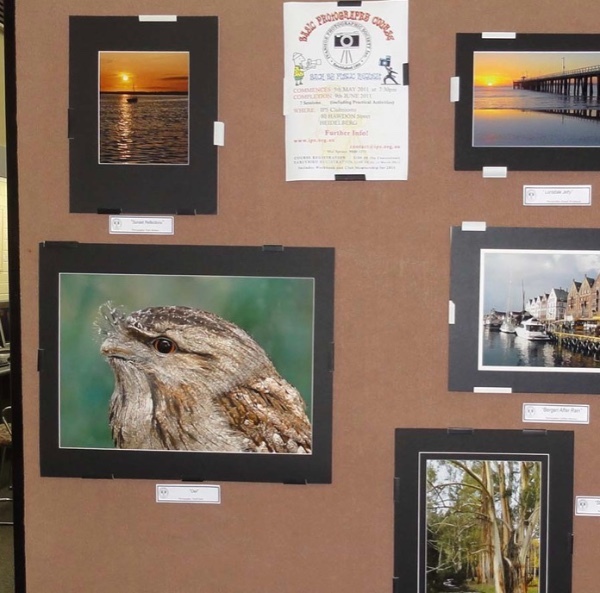 He also exhibits his work through his other camera club activities. He has assisted the Wollongong Camera Club to re-establish their web-site about four years ago. He rebuilt it for them from scratch and still continues to administer their site. They were very appreciative of his efforts and issued a special award to Bob with a letter of appreciation to the Club. He has similarly assisted other clubs with their own web-sites and on-line presence. He has been the co-organiser for each of the one-day seminars at the Frankston Club. 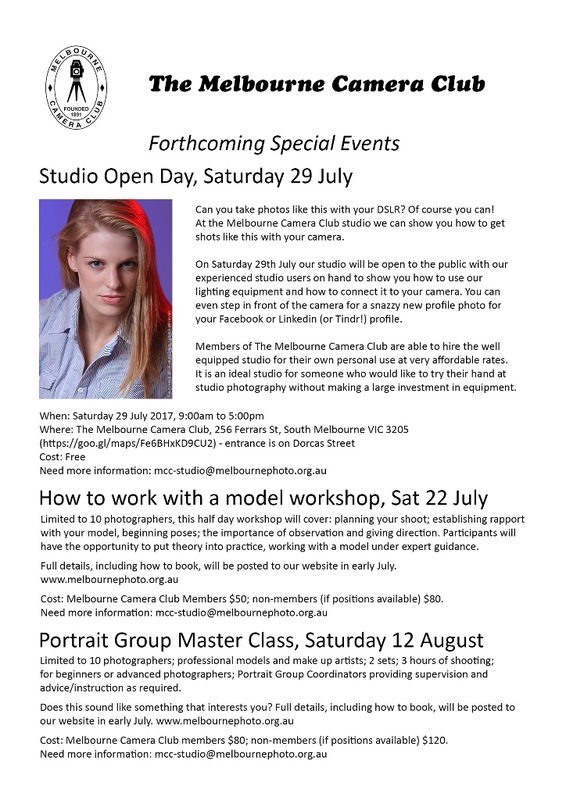 These image editing seminars have attracted maximum numbers and been open to other VAPS affiliated clubs throughout Melbourne. He has also been involved in organising the FPC Members' Exhibitions at Frankston Arts Centre. These exhibitions were open to the public and other photography clubs around Melbourne and attracted several hundred visitors over the duration of each exhibition. He has been FPC's 'go to' technical person for many years. His advice is regularly sought for upgrading or maintenance of the club facilities. His long-standing contribution to the club has been acknowledged when he was made a Life Member of the club. VAPS joins with the Frankston Photographic Club to publicly honour him with the VAPS State Service Award. Margaret has been an active member of KPS since joining in 2008. In 2014 she joined the committee, assisting in many committee tasks as well as taking on the responsibility as the supper coordinator. In 2013 she joined the VAPS committee and in 2014, after Fred Everett retired from the VAPS Committee, she took on the position of Badges and Awards Secretary. In the same year, she also started judging at VAPS affiliated clubs throughout Victoria as well as being on the KPS judging panel and selection panel for interclub competitions. She has assisted at several Nationals, VAPS Interclubs, judged one VAPS interclub and also this year was invited to judge at the Maitland International. In 2017 she was asked to apply her extensive skills as a judge to manage the VAPS Interclub Print judging. 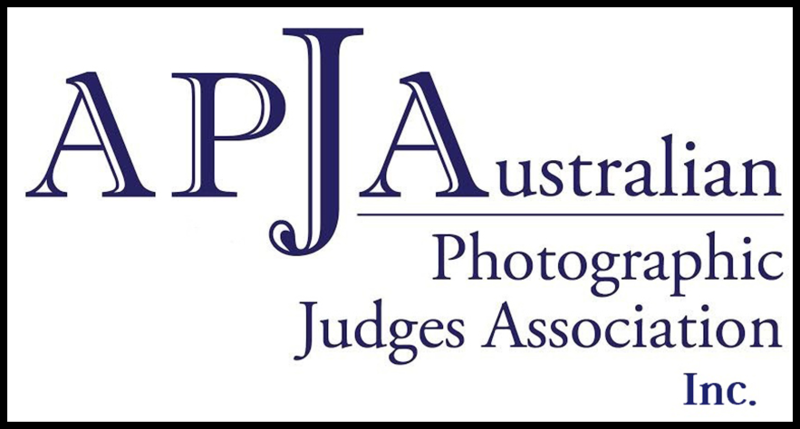 Margaret took on the position of secretary when the Australian Photographic Judges Association was formed in 2015 and is still serving in that position. As a member of the judge's association, she has been one of the lecturers since 2016 and has also presented a presentation "What Judges Look for." to many clubs in Victoria either as a guest speaker or in conjunction with her judging assignments. Recently she has also started mentoring several trainee judges from KPS and other VAPS clubs. Margaret has given various presentations on photography topics at KPS, other VAPS affiliated clubs and at APJA meetings. In 2014 Margaret assisted with the organisation of the KPS 40-year exhibition, the KPS exhibition at the Bakery in Fern Tree Gully as well as exhibiting some of her images at these exhibitions. Since she joined KPS she has often written articles for the club's monthly and weekly newsletters, revised the KPS Code of Conduct document as well as assisting with the rewriting of the VAPS Constitution. Since 2014 Margaret has assisted in teaching, at KPS, the Beginners Camera Courses, Basic and Advanced Lightroom courses as well as teaching Lightroom to another VAPS club in 2016. In 2016 she was a volunteer photographer at the Boronia West Primary School Culture event. This year, being passionate about going to the zoo to photograph the animals, she started organising outings to the various zoos in Melbourne for KPS members. Margaret has supported the Australian National and International exhibitions either assisting or judging. 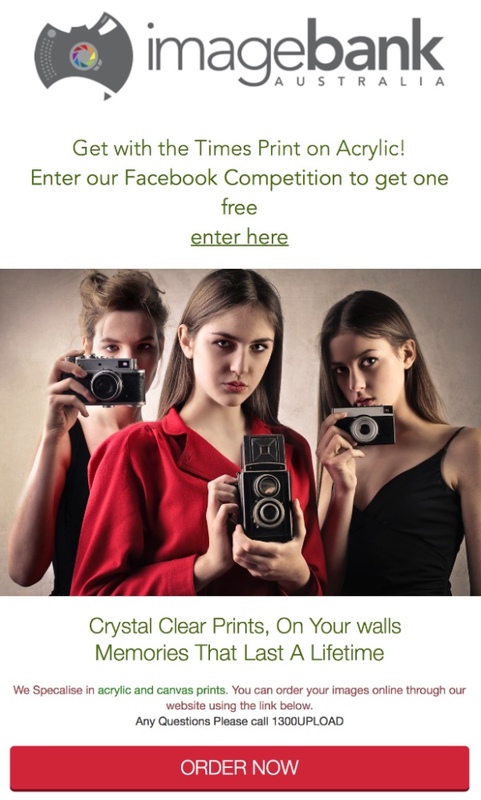 She has been very successful as an exhibitor both Nationally and Internationally and has gained several honours in recognition of her photographic skills. For her contribution to photography, the Knox Photographic Society and VAPS wish to honour Margaret with the State Service Award. Here are some links provided by readers. 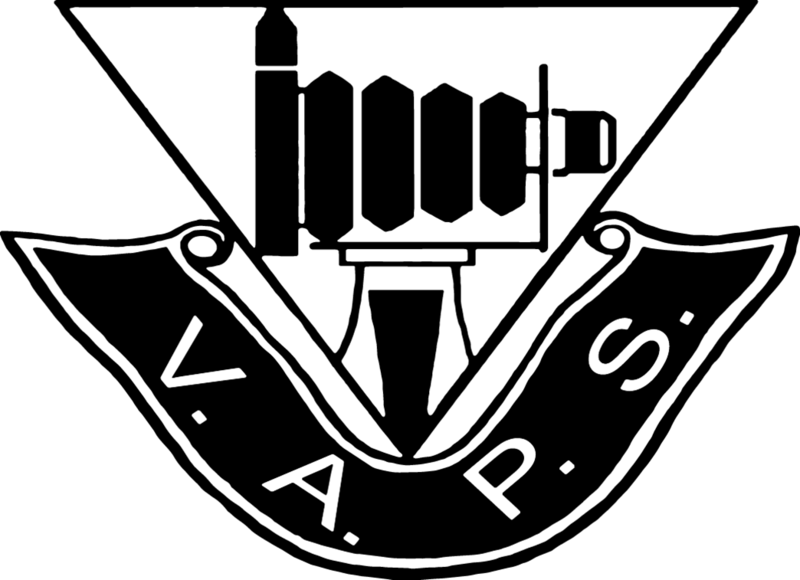 These are for reference and VAPS does not formally endorse the content of these links.